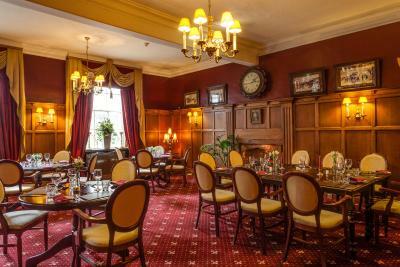 Lock in a great price for The Saracens Head Hotel - rated 8.1 by recent guests. Lots of character. Good freshly cooked breakfast. Very friendly staff. The room was very comfortable but the wonderful 4 poster bed was crammed in too small a recess. I have stayed here several times, and would always go back. Fantastic staff and the breakfast is perfect. 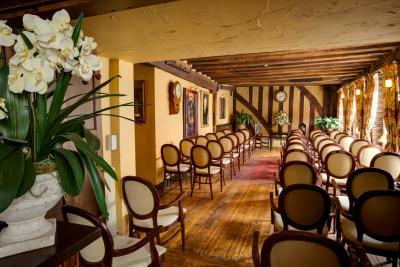 An historic venue, good service and great breakfast. Breakfast was lovely. Maybe more orange juice would have been good as it got used up very quickly. Location was indeed a bonus almost opposite the Cathedral. Enjoyed the walk around the garden there before we had breakfast. We will visit the Workhouse next time we visit. 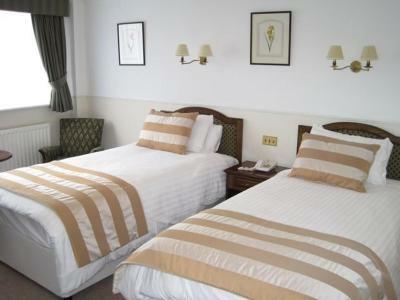 Fresh, bright, comfortable bedroom, good beds, comfortable lounge, very friendly staff. Well cooked food. All just as we hoped for. 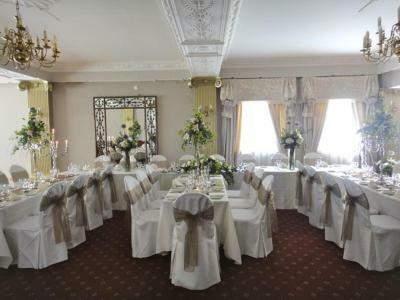 The breakfast was great and in such a lovely room. I particularly like the chiming of various clocks, which adds to the atmosphere. It's in the centre of town, so a great location. Car parking is at the rear & free. One of our top picks in Southwell.This charming 16th century coaching inn with 27 refurbished en suite bedrooms, a bar and a restaurant is situated opposite the Norman Minster and close to the town of Newark. 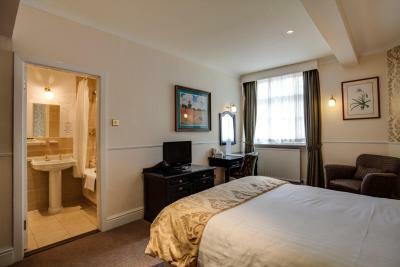 All the rooms at The Saracens have free WiFi, a flat-screen TV and tea and coffee making facilities. 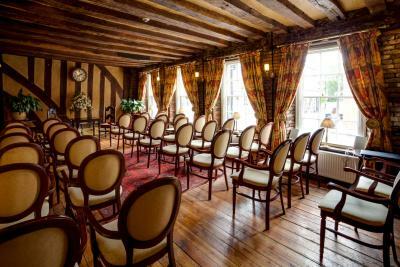 The Saracens Head mixes the old with the new; offering modern comforts to complement its rich history, which dates even further back than its visit from King Charles in 1642. 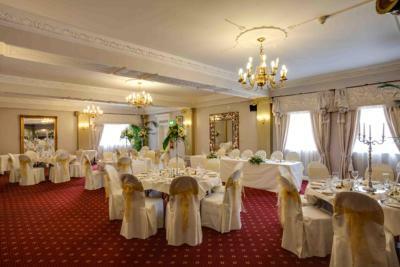 The inn offers conferencing and banqueting facilities in elegant surroundings. Freshly prepared cuisine is served in the Lord Byron Restaurant, where traditional splendor and contemporary menus combine to provide you with an enjoyable dining experience. The Saracens Head Hotel has been welcoming Booking.com guests since 1 Aug 2005. 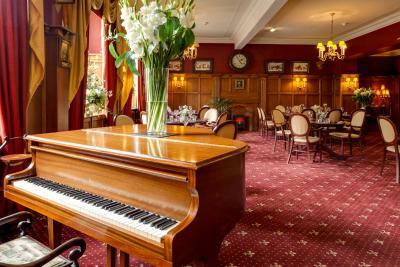 When would you like to stay at The Saracens Head Hotel? All rooms are en suite and provide the comforts of modern living including a large-screen remote control colour TV, Neal's Yard toiletries and a direct-dial telephone. 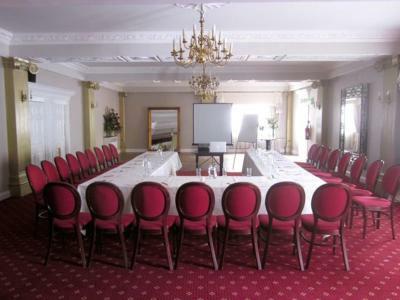 Many of the rooms are situated in the town's old assembly rooms which feature high ceilings and a light and airy feel. 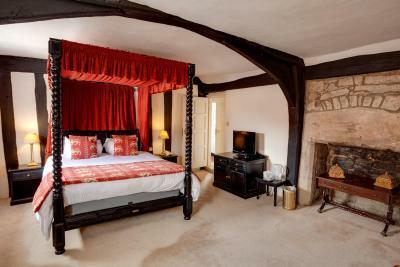 Each feature room has a four poster bed with a private bathroom that includes a bath and shower. Each room varies in unique characteristics. Spacious twin bedroom with private bathroom, also including a LCD television with Freeview and free Wifi access. House rules The Saracens Head Hotel takes special requests - add in the next step! The Saracens Head Hotel accepts these cards and reserves the right to temporarily hold an amount prior to arrival. Dogs are allowed at a charge of GBP 15 per night. The car park is located directly behind the hotel at the intersection of Queen Street, Halam Road and The Ropewalk. Parking is free for hotel guests when they give their registration to the hotel reception. Breakfast below average. Main restaurant looked dark and not inviting. Menu not offered for perusal following enquiry prior to dining; I ate at pub across the road. Notices on entry doors, advertising for staff, did not give me confidence. Close to Minster and town centre. The room was next to the kitchen extractor fan which was extremely noisy and went on for several hours,commencing at around 7.15 in the Sunday morning and continuing on and of until 10pm. The floor boards the room above were noisy enough for us to hear very clearly every step being made. The shower was dangerous and difficult to use because of the narrow bath preventing correct use of the inner bath mat and the height of the bath sides made it difficult to get in and out. We had the window ajar all night( it did not rain), but in the morning there were pools of condensation on the windowsill and the curtains were wet and stuck to the window. We stayed here last year in the old part of the building and enjoyed it (although the shower issue was the same) which was why we returned. We mentioned these issues when we checked out but the response was "Oh dear, it's not for you then" That is not a professional response. We shall not be staying there again. Could do with some updating and our room at the front was quite noisy as near the road- double glazing? Might not be permissible due to planning regs? Felt like a burden to the staff just by being there. Facilities were very dated. Our stay was really enjoyable so can't think of anything negative. Room ventilation. Room was a bit cramped for the price. Location great although parking complicated. Nice to have a bath as well as shower. Our room had a kitchen fan outside the window, which was humming away until the kitchen stopped (late evening). Although it was quiet overnight, it started up again early in the morning when the kitchen started to prepare breakfast and woke us up.